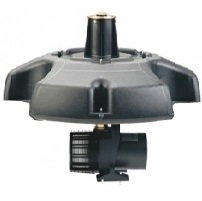 Ready to connect complete fountain unit, consisting of pump, float body, and nozzle. 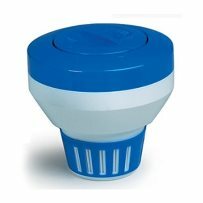 The proprietary hydraulic isolator smooths the priming water at start-up and also smooths the flow inside the volute, raising the efficiency even higher. 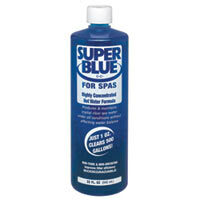 Metal Out is a concentrated sequestering agent that controls heavy metals in pool and spa water. 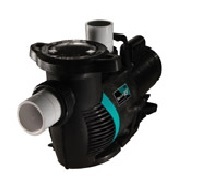 Metal Out is used to remedy stains, scale, discoloration and cloudy water. 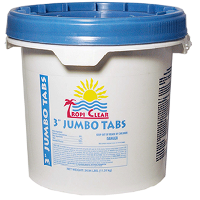 TropiClear 3" Tabs are easy to use in floating or automatic dispensers. 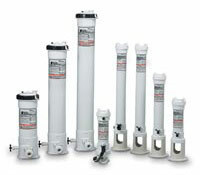 Made with built-in stabilizers to protect from loss due to the sun's powerful rays, 3" Tabs have 90% available chlorine. 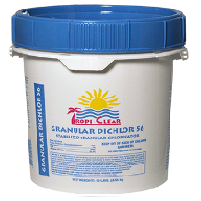 Granular Dichlor stabilizes and concentrates dichlor granules for shocking and controlling algae problems, contains 56% available chlorine and is pH neutral. Lo-Chlor's long lasting algaecide is safe for all surfaces and guaranteed not to stain. 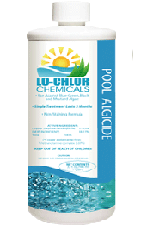 Pool Algicide lasts 3 months and kills blue-green, black and mustard algae. 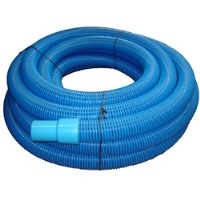 Use with all filter types - will not clog filters!